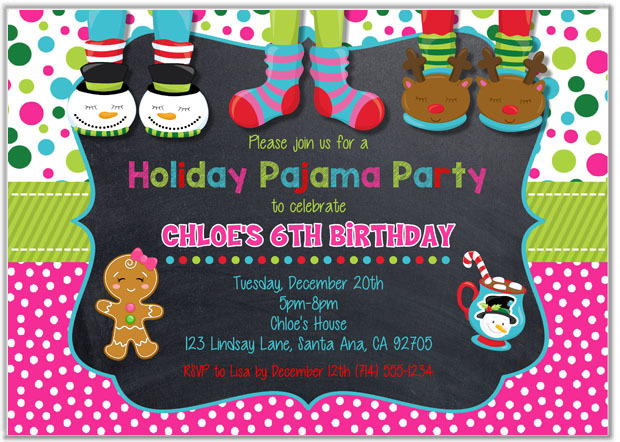 These adorable invitations are perfect for a holiday slumber party. 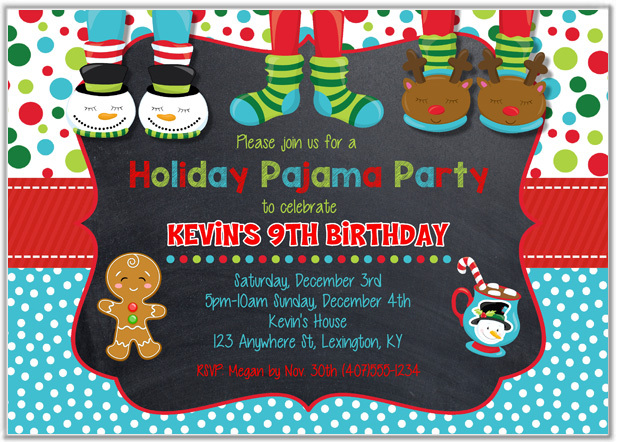 The Christmas themed pajama party invitations are designed using bright colors with a chalkboard background and can be personalized for a boy or a girl. They can be personalized for any holiday pajama party not just for a birthday. Personalization that you would like on the top of the invitation above the dotted colored line. Please type exact wording below.